The Government's Green Deal scheme has come under fire once again: this time due to it allegedly being overly focussed on boilers. Figures have emerged revealing most take up on the initiative has been to receive cashback on the installation of a new boiler system. In total, 974 cashback vouchers have been claimed under the Green Deal so far, with the take up of boilers representing about 99% of claims. Some in the industry have been quick to criticise the heavy emphasis on boiler take ups revealed in the figures however. Knauf Insulation external affairs director, Steven Heath, said: "The design of the cashback scheme was to encourage whole house retrofit. The outcome clearly shows the scheme has not delivered against that ambition." However, Encraft director, Matthew Rhodes, said in probability energy consumers opted for new boilers as it was a technology they felt more comfortable with. He added: "It's a long job to get people thinking in a holistic way." The figures, revealed for the first time last week, also showed only four financial plans had actually been taken out by energy customers, despite some 38,256 have an assessment conducted. A further 241 have been issued, but not signed as of yet. 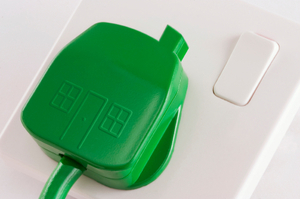 The Green Deal is a scheme offering energy consumers a number of options for improving their home's energy-efficiency. The option of cashback has been particularly popular, but under the initiative, customers can also take out a loan on items such as wall insulation, paying the money back as part of their energy bill. The idea being they only pay back what they save on energy.